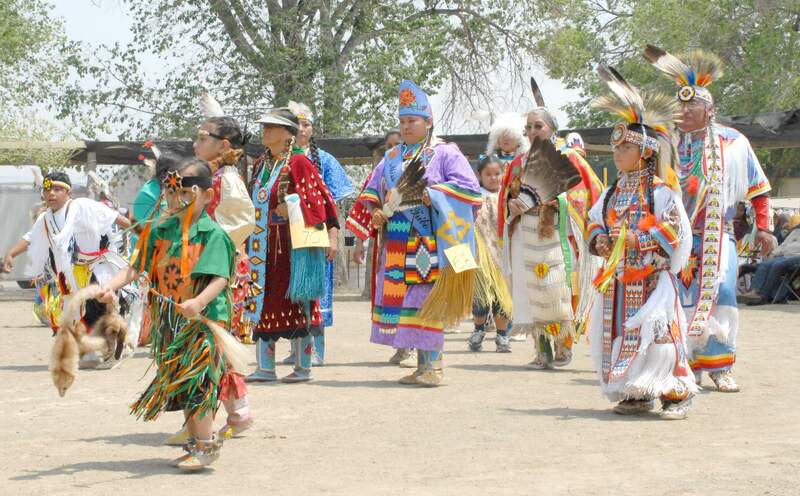 Competitors in full regalia dance at the Ute Mountain Bear Dance Powwow in Towaoc. The tribe was awarded a $1.3 million grant from the U.S. Department of Housing and Urban Development to improve housing. The Southern Ute Indian Tribe received a $1.2 million grant. The Southern Ute and Ute Mountain Ute tribes will receive $2.6 million in grants from the U.S. Department of Housing and Urban Development. The grants will benefit low-income families living on Indian reservations. They are distributed annually to eligible tribes or their designated housing entities for a range of affordable housing activities. The amount of each grant considers local needs and housing units under management by the tribe or designated entity, according to a news release issued Tuesday by HUD. The Southern Ute Tribe, based near Ignacio, will receive $1,235,801 and the Ute Mountain Ute Tribe based near Towaoc will receive $1,348,648. A HUD spokeswoman did not return a phone call Tuesday seeking information about past HUD grants awarded to the two tribes. But it appears both tribes have received similar block grants in recent years. Joanne Lemmon, director of the Ute Mountain Ute Housing Authority, said the money will help secure infrastructure needed to build up to 150 homes. This is the second year the Housing Authority has received the grant, she said. The tribe has applied and received the grant in the past, she said, but it has been used for different purposes. The tribe also received $900,000 last week through HUD’s block grant program to improve housing conditions and stimulate community development, including construction projects and local jobs for low- and moderate-income families. Efforts to reach an official who could comment for the Southern Ute Indian Tribe were unsuccessful Tuesday. HUD is seeking $700 million for Native American Housing Block Grants in 2017, a $50 million increase from 2016, to address severe crowding and substandard housing conditions on reservations across the country. An additional $20 million in community development grants is being requested for projects to improve outcomes for youth, such as the construction or renovation of community centers, health clinics, transitional housing, preschool/Head Start facilities and teacher housing.